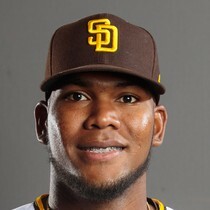 The Padres have placed Franchy Cordero (elbow) on the 10-day injured list. Mon, Apr 8th The Mets placed Yoenis Cespedes (heel) on the 10-day injured list. Franchy Cordero left Saturday's game versus the Cardinals with a sore elbow. 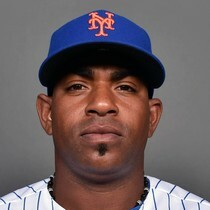 Sat, Apr 6th Yoenis Cespedes (heel) firmly believes he will return to the Mets sometime in 2019. Franchy Cordero went 2-for-3 with a double, a single, a walk, an RBI, and a run scored as the Padres beat the Cardinals 5-3 on Friday. Fri, Apr 5th Mets special assistant Omar Minaya says Yoenis Cespees (heel) still has absolutely no clear timetable.